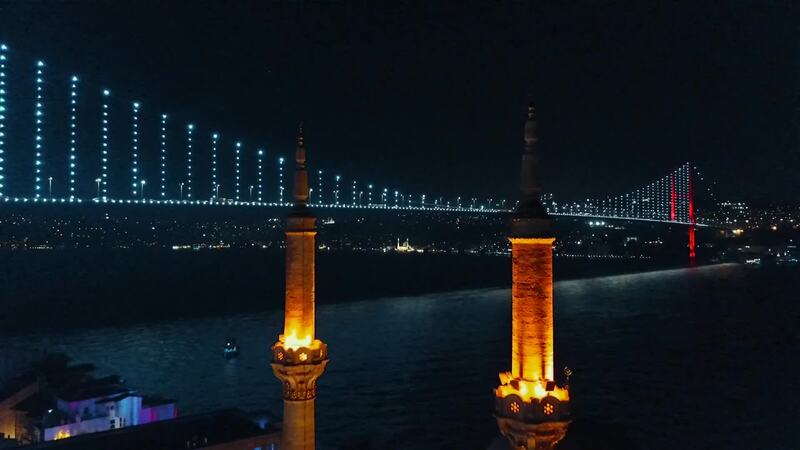 Turkey-based contributor cemsaner illuminates the architectural beauty of the Ortaköy Mosque on the Bosphorus in this night time drone flight. The famous Turkish mosque sits on the waterside pier that has equally stunning views of the dazzling suspension bridge. Seeing the well-lit mosque from these aerial views really highlights its ornate Neo-Baroque design features. The original mosque was built in 1721, destroyed in an uprising, and rebuilt in the 1850's. Description: The city where the continents meet, amazing Istanbul. Bosphorus & Ortakoy Mosque night shot with Mavic Pro.